Don joined the firm to support the Financial Advisors in developing financial plans and doing investment research for the clients of our growing practice. He notes, "I find it very satisfying to help clients gain more knowledge about their finances." Don also is an Investment Advisor Representative and licensed California Life and Health Insurance agent. 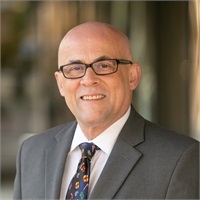 Prior to joining Walnut Creek Wealth Management, Don held various positions in the financial services industry over the past 15 years, most recently with Trilogy Financial Services. He graduated from Carnegie-Mellon University with a Bachelor of Science degree in Management Science, and then earned his MBA in Finance from the University of Chicago. A longtime resident of San Francisco, CA, Don enjoys all kinds of music and is an avid sports fan, especially of the San Francisco Giants. He is a member of his church’s Finance Council and Spiritual Life commission. Don and his wife Marilen are the proud parents of Cody, a rescue dog, and two Siamese cats, Charlie and Cleopatra.